Over the last few years, “customer experience” has become a commonly used phrase, but like “innovation” it is difficult to find a clear, common definition. Of customer experience (CX). So, how we can really improve something if we can’t even define it? What encompasses CX? How do we structure it? And, how do we improve it? 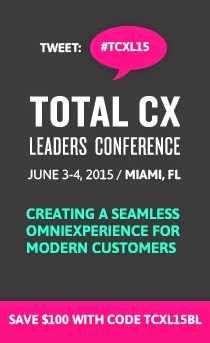 People have been grappling with a definition of CX for several years. Sometimes it’s defined as digital experiences and interactions, such as on a website or a smartphone. In other cases, it is focused on retail or customer service, or the speed at which problems are solved in a call center. According to the Harvard Business Review, CX is the sum-totality of how customers engage with your company and brand, not just in a snapshot in time, but throughout the entire arc of being a customer. Every company provides a CX. Your company provides a one too, even if you aren’t aware of it or create it consciously. That experience may be good, bad or indifferent, but the fact that you have customers, you interact with those customers in some way, and provide them products, means that they have an experience with you and your brand. Now it is up to you whether it’s fantastic, awful or average. There is a strong case to be made that companies cannot completely control experiences, because experiences inevitably involve perception, emotion, and unexpected behaviors on the parts of customers. No matter how well we craft an experience, people will not perceive exactly as we anticipate. So, companies cannot afford to throw up their hands and give up in the face of unpredictably. Instead, they need to plan for the worst and aim for the ideal when considering the experiences they want to create. CX may sometimes seem like something which appears as if by magic, and only certain companies are able to create it regularly. The good news is that creating a great CX does not require knowledge of magical incantations, instead, it springs from controllable elements — the touchpoints. These can be numerous and diverse, but they can be identified, crafted, and integrated. If this is the case, why are their only a few companies we think of when it comes to great CX? Crafting a great CX requires enormous amounts of collaboration across groups in a company that often work independently and at different stages of product development. In many cases marketing, product design, customer services, sales, advertising agency, retail partners must all be working in concert to create even one single touchpoint. About the Author: Amanda Ciccatelli, Social Media Strategist of the Marketing Division at IIR USA, has a background in digital and print journalism, covering a variety of topics in business strategy, marketing, and technology. Amanda is a regular contributor to several of IIR’s blogs including Front End of Innovation, The Market Research Event, Next Big Design, Digital Impact, Customers 1st, and ProjectWorld and World Congress for Business Analysts. She previously worked at Technology Marketing Corporation as a Web Editor where she covered breaking news and feature stories in the technology industry. She can be reached at aciccatelli@iirusa.com. Follow her at @AmandaCicc. Is There Any Real Value in Customer Experience?